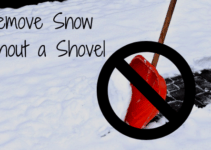 There are two common methods when it comes to when to shovel snow. The first method is to wait for the snow to finish and shovel it all at once. 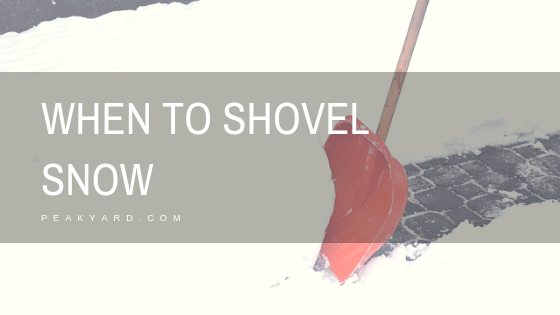 The second method is to shovel multiple times per day as the snow accumulates throughout the day. We will break down the advantages and disadvantage of both methods below. However, if you have a standard size driveway and are in good health, either way is fine. Just do what is convenient for you. If freezing rain comes after the snow, the snow will provide a barrier. This barrier will help deter ice from building on your driveway/sidewalks, which can be difficult to remove. During windy conditions, it may be best for the snow storm/wind to stop before you shovel. Wind often blows snow back onto the driveway and creates drifts. You may have just as much snow back on your driveway when you are done if you shovel in windy weather. Reduces the amount of snow you have to shovel at once. For example, you may shovel 3 inches off the driveway at noon and another 3 inches off at 6 PM when it stops. The other alternative is to shovel the full 6 inches all at once at 6 PM. 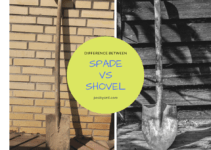 How many times a person shovels depends on a lot of variables. It may depend on such things as their health, the amount of snow, the weather, available time, and so on. 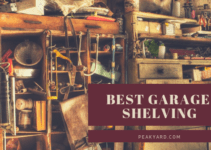 You should always start by shoveling the areas that are accessed frequently. This often means clearing away from the garage door and the sidewalks for many people. You can then move on to the less traveled areas such as shoveling the deck (if needed) or side pathways around your house.